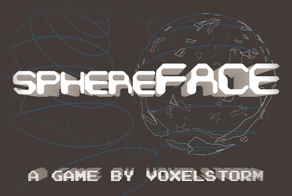 Out of all of the games I’ve previewed, sphereFACE has to be one of the earliest builds. In fact, what I played can probably only be considered a prototype for what might eventually be a game. Since it felt more like I was testing a theory than anything concrete, this preview will have to reflect that. The basic aspect of sphereFACE‘s design is sort of hard to wrap your mind around unless you’re actually playing it. Sure, in terms of controls, it seems like a normal top-down shooter. The play field is 2D in a sense, but it’s not really flat. Instead, it is the inside of a relatively small sphere. 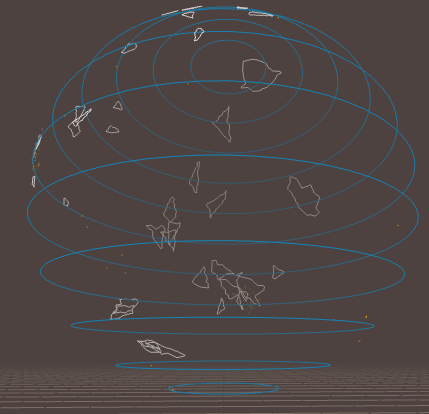 Theoretically, you can build up speed and fly a loop through this hamster ball indefinitely. If only it were that easy, though! 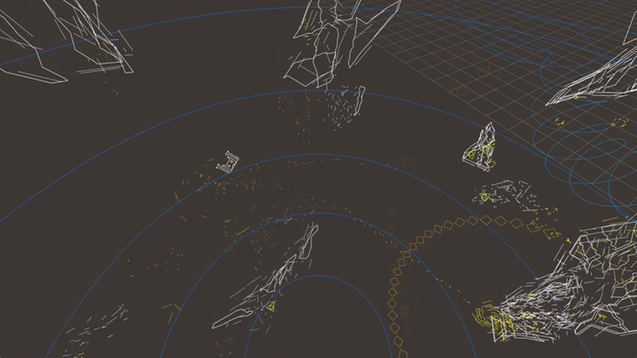 In addition to enemies that do the predictable thing of flying around and shooting, you also have asteroids that will break apart when you shoot them. Hitting any of these things results in dying and starting the game over for now, so you’ll want to master the ways of the game to avoid them. 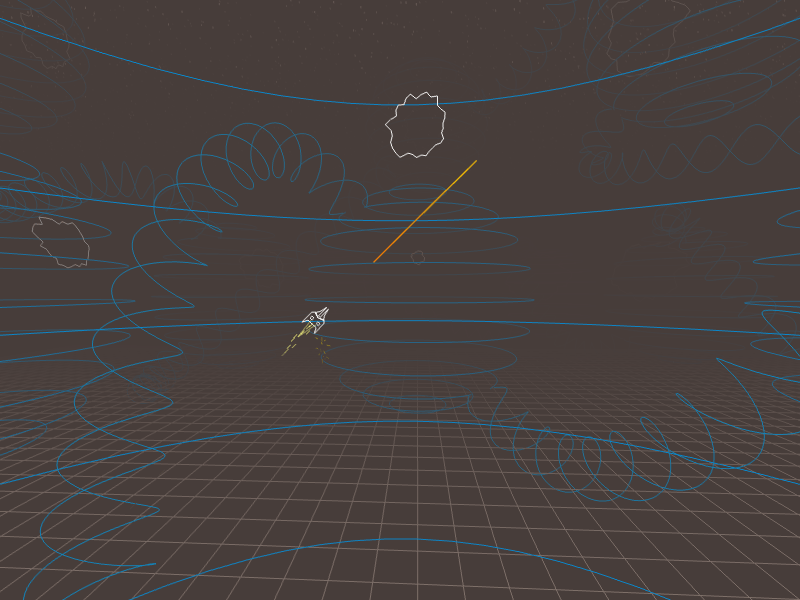 It’s tricky, though, when a stray shot from an enemy can go all the way around the sphere and hit you from the other side, and trying to track where objects are is a dizzying prospect. If you survive long enough to destroy all the asteroid fragments in the level, it will open up a path that transports you into a new sphere. Movement is actually a little tricky, too. You turn with the A and D keys, and accelerate forward with the W key. Once you get going, you won’t stop or even slow down unless you turn around and push yourself in the opposite direction. There doesn’t seem to be a limit on how fast you can go, but if you can’t keep track of where you’re going you’ll hit an enemy bullet. Of course, you need some speed to get out of the way of obstacles, so it’s a balance of speed and control. I have a feeling that this is the type of game that teaches your brain a whole new way of thinking. I’ve learned to make some surprisingly long shots already, yet I can’t seem to clear two spheres in a row without dying. There are unexpected developments everywhere, like the fact that a single enemy can actually be shooting at you from multiple directions at the same time. Everything makes perfect sense if you pause the game and reason out the geometry of it, but in the heat of the moment it just feels like chaos. For now, sphereFACE only has the core elements of its gameplay ready, but the concept that it’s built on seems to have so much potential that it may just change the genre forever. From here, though, I can’t predict what will happen. I can only wait–with great interest–for what VoxelStorm does with it next. Preview build supplied by the publisher.